Q: Where do I find the online application? A: Go to https://apply.grad.wisc.edu/ for the online application. Q: What are the important dates for SAS MS/PhD program applications? A: The application deadline is January 3, 2020 to begin studies in the Fall of 2020. Q: Can I apply for admission to begin studies at any semester? A: The SAS Graduate Program only admits new graduate students to matriculate (begin enrollment) in the Fall semester. This application-matriculation (January application deadline/fall semester matriculation) pattern has been consistent in the recent past and is not expected to change in the near future. Q: What is the acceptance rate, on average, annually? A: SAS graduate admission data for the recent past is presented at https://grad.wisc.edu/academic-programs/?program=G912&type=view. This page also has enrollment, funding, and time to degree data pertaining to the SAS MS and PhD graduate programs. Q: Are there admission minimums for GPA or test scores? A: Applicants must present a minimum undergraduate grade-point average (GPA) of 3.00 on the equivalent of the last 60 semester hours (approximately two years of work) or a master’s degree with a minimum cumulative GPA of 3.00. Applicants from an international institution must have a strong academic performance comparable to a 3.00 for an undergraduate or master’s degree. All GPA’s are based on a 4.00 scale. We use your institution’s grading scale; do not convert your grades to a 4.00 scale. Obviously, the higher your GPA, the better your chances of admission, but the quality/intensity of your coursework is also considered. Regarding the GRE—the SAS Graduate Program requires submission of the Graduate Record Examination (GRE); only the GRE® Revised General Test is required. We do not have minimum GRE® scores, but GRE® Revised General Test scores of 163 (Verbal Reasoning), 151 (Quantitative Reasoning), and 3.5 (analytical writing) are recommended. Q: How many letters of recommendation are required? A: Three (3) letters of recommendation are required; the letters are submitted electronically through the Graduate School’s online application process. Q: I am not currently working in an academic setting. May I submit recommendations from work supervisors rather than from professors? A: The preference would be for at least two academic references. But it is more important that your recommenders be individuals who know you well, and who can provide substantive comments about your past performance, intellectual potential, and communications (oral and written) ability. The SAS Graduate Committee acknowledges that such persons can come from employment rather than academic settings. No more than one of the three recommendations should come from a former or current employer, that is, two of the letters should be from academic sources. A: The application fee is administered by the Graduate School (not by the SAS program) and is non-refundable. It can be paid by credit card (MasterCard or Visa), debit/ATM card, personal check or money order, drawn on an U.S. bank. After you submit your application online you will be directed to the fee payment section. Please do not send cash. The application fee for 2018-19 is $75.00 US; there is an additional $6 fee for international applicants. Note that you may choose up to three programs to submit your application to for this fee. Q: Are graduate application fee waivers available? A: The Graduate School offers a limited number of application fee grants to qualified targeted applications in varioius categories. See “Applying for a Fee Grant” at https://grad.wisc.edu/apply/fee-grant or contact the School of Pharmacy Graduate Programs Coordinator at gradadmissions@pharmacy.wisc.edu. Q: Do I need to submit a separate application to the Social & Administrative Sciences in Pharmacy Division at the School of Pharmacy in addition to the application for graduate study? A: In submitting the online application to the UW Graduate School, you will be prompted to electronically submit the supplementary application materials that the SAS Graduate Program requires. These supplementary materials include three letters of recommendation, Graduate Revised General Test scores, a “reasons for graduate study” essay, a resume, and the School of Pharmacy’s financial aids statement. Q: What are the most important parts of the application? A: Each student’s file is considered holistically. There is no single component that will either get you admitted or declined. Be thoughtful when crafting your “Reasons for Graduate Study” so we understand what you want to research and why you think you can do it here. Although it cannot be stated that this is the most important part of your application, this essay provides an introduction to you as a student, as such, you will want to make it as professional as possible. Take time to read research publications of our SAS faculty to understand whose research most aligns with your interests and the direction you envision taking a graduate research project. Communication skills are critical in graduate work. Your GRE scores will be examined (as will your TOEFL, for international applicants), for English proficiency and reasoning skills. Your writing ability will be evaluated, via your GRE and your resume/CV, and should be as professional as possible. 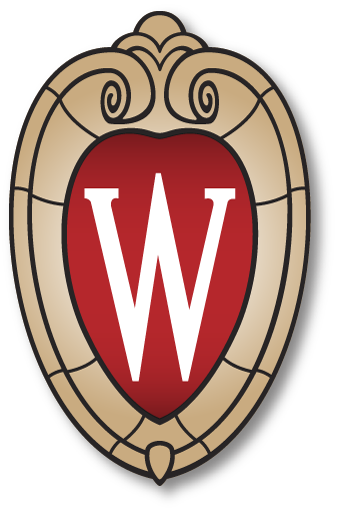 Faculty will examine letters of recommendation sent on your behalf and examine whether the letters reflect the intellectual curiosity and perseverance needed to accomplish a graduate degree successfully at UW-Madison. A Skype or in-person interview will likely be conducted with two to three faculty members, if you make the admissions “short list” to help faculty evaluate multiple factors, including what your understanding of pharmacy and U.S. pharmacy is. Part of the motivation for these questions are to assess your ability to contribute as a teaching assistant for the SAS Division in the school’s Doctor of Pharmacy (PharmD) curriculum. Q: What happens if my transcripts or letters of recommendation arrive before I file the application? A: This does not present a problem. All documents are organized in one electronic file. Q: When and how are applicants notified about admissions decisions? A: The SAS graduate admissions committee typically makes its decisions in mid-January-early February and applicants are informed of their status in February-March. Initial communication (acceptances and denials) is done via email; formal, written offers of admission are sent subsequently. Typically, admission and funding decisions are made concurrently; on some occasions, admissions decisions are made first and funding decisions are made later. Offers that include funding must be responded to by April 15. Q: I am a PharmD graduate at UW-Madison School of Pharmacy and would like to apply to the SAS graduate program. What do I need to submit? A: The SAS Graduate Program enthusiastically welcomes applications from UW-Madison PharmD alumni. Application to the SAS graduate program is significantly different in process than application to the PharmD program. A different office (Graduate Programs) at the School of Pharmacy handles graduate applications, in coordination with the UW Graduate School. You must apply online; begin the process at https://apply.grad.wisc.edu/. Contact the SoP Graduate Programs Coordinator (gradadmissions@pharmacy.wisc.edu; 608-262-4257; Room 7115 Rennebohm) if you have any questions/concerns as you move through the application process. Q: I have applied for graduate study and would like to know the status of my application. Whom do I contact? A: When the Graduate School acknowledges receipt of your application, their email message will give you a secure URL to an application status page. Check this page periodically to see what documents have been received by the School of Pharmacy. You may contact the school’s Graduate Program Coordinator (SoP GPC) to check on any documents you believe have been sent but do not reflect as “received” on your application status page. To reach the SoP GRC, either email gradadmissions@pharmacy.wisc.edu or call 608-262-4257. Q: Is part-time study permitted at the SAS division? A: Yes, but funding (i.e., appointments such as TA, PA, etc.) is reserved for full-time students. Part-time students are almost always self-supporting. Q: Are interviews required for admission? A: The SAS graduate program reserves the right to interview applicants. International applicants who pass the admissions committee’s initial screening are typically interviewed via phone or Skype to better judge their English proficiency. Q: Is a visit to the Madison campus recommended prior to application? A: It is neither recommended nor discouraged. You are welcome to visit UW-Madison any time. Please email the Graduate Programs Coordinator (gradadmissions@pharmacy.wisc.edu) two to three weeks prior to your anticipated visit in order to arrange for the most informative experience. The GPC will be able to arrange for you to meet SAS graduate students and may be able to schedule short visits with faculty or courses/seminars which you can observe. A resume may be requested from individuals requesting such a visit with SAS faculty and graduate students. Q: Do I need to have a pharmacy degree earned in the U.S. to apply? A: No. A professional degree in pharmacy is helpful, but not required. The program welcomes talent from a variety of academic backgrounds—from the span of the social sciences and communications to public/population health to economics/business/marketing to industrial engineering. Pharmacy has been, historically, the most common academic background of graduate applicants. Students familiar with the U.S. pharmacy environment and workplace may be more readily able to assume teaching assistantships for the SAS division. Q: How much pharmacy practice experience do I need to be a competitive SAS graduate applicant? A: See discussion in the answer to the question above. Those with (or without) pharmacy-type work experience or who hold a degree in a field other than pharmacy are invited to inquire about the equivalency of their background for admissions purposes. Q: Do I need a masters degree to apply to the SAS PhD Program? Do I need to have a SAS-related masters degree to apply for the PhD program? A: A masters degree is not required to apply. Domestic students that hold or will soon earn a professional degree in pharmacy (PharmD) or an undergraduate degree in sociology, business, economics, or related social sciences and who are interested in applying their knowledge and skills to pharmacy- and health services-related research at the highest levels are eligible to apply. Recently, many industrial and safety engineering concepts have begun to be introduced and applied in the pharmacy profession; an IE background is also highly desirable. International student applications are significantly strengthened by achievement of a masters degree in a SAS/health services research area. International applicants commonly have earned a BS in pharmacy. Note that your application should indicate the highest degree you intends to pursue. A master’s degree is needed to pursue the PhD, so if one is applying and would be entering UW-Madison without holding a master’s degree, one would pursue a master’s in SAS at Wisconsin along the way to the PhD, but the PhD intent would be denoted on the online application. A master’s degree in a related field or from a different pharmacy graduate program will be evaluated for equivalency and potential deficiencies. Q: What are the institution and departments codes to give to Educational Testing Service (ETS) to send English proficiency and GRE scores? A: The UW-Madison institutional code is 1846. Official scores must be sent from ETS to UW-Madison via electronic transmission. Q: Do I need to submit an English proficiency test score if I am an international student finishing a BS or MS program at another university in the US? they have earned a degree from a regionally accredited U.S. college or university not more than 5 years prior to the anticipated semester of enrollment; or they have completed at least two full-time semesters of graded course work, exclusive of ESL courses, in a U.S. college or university, or at an institution outside the U.S. where English is the exclusive language of instruction, not more than 5 years prior to the anticipated semester of enrollment. Q: Are there admission minimums for the TOEFL? A: The SAS Graduate Program’s required minimum scores for the TOEFL are as follows: 92 for internet (iBT) and 580 for the paper test. Higher scores are desirable for the division’s graduate teaching assistantships. Q: Will I be guaranteed funding throughout the entire course of my PhD? A: Facilitating student support is a high priority; SAS faculty work to ensure that students have sufficient funding to be successful. Incoming students are provided with computing and technology resources for their learning and research endeavors; a new laptop is provided to each new graduate student. Travel funding allows students to present at national and regional professional meetings. The SAS Division’s funding commitment (or lack thereof) to a graduate student is communicated via the formal offer of admission. Commonly, several years (fall and spring semesters) of financial support is extended, assuming the graduate student maintains good academic standing and satisfactory progress towards the degree. Our primary means of financial assistance is in the form of teaching assistantships. Some students may get a fellowship or project assistantship (PA) for part of their graduate career, but the balance of the support guarantee would be a teaching assistantship. Be sure to complete the Financial Aid Statement that is part of the online application. Of course, students must also perform adequately in TA or PA appointments. Along with a TA or PA appointments of at least 33%, tuition is typically remitted (waived/forgiven). In 2018-19, a 50% TA appointment (the typical appointment for first- and second-year SAS graduate students) equated with a student $18,350 stipend (salary) for the 9-month academic year. Fringe benefits associated with TA or PA appointments, including comprehensive, low cost health insurance coverage are detailed at https://www.wisconsin.edu/ohrwd/benefits/premiums/. Students are generally not funded during the summer months; occasional summer PA appointments are made in the summer. Q: What are the typical teaching assistantships for graduate students in SAS? A: SAS graduate students serve as TAs in a variety of courses in the professional (PharmD) program. In the fall semester, the typical settings are in the SAS 411 course, Pharmacy in the Health Care System (with lab), a first-year PharmD course, and in SAS 611, Pharmacy Law & Regulation, a third-year PharmD course. In the spring, TA appointments are for SAS 414, Social and Behavioral Aspects of Pharmacy Practice (with lab), a first-year course, SAS 514, Managing Pharmacy Systems for Patient Care, a second-year PharmD course, or SAS 652, Pharmacist Communication: Educational & Behavioral Interventions (with lab), a third-year course. Q: May I work part-time as a pharmacist during my graduate enrollment (e.g. weeknights, weekends)? A: Yes, if you can secure pharmacist licensure in Wisconsin. The SAS program encourages its graduate students who are pharmacists to continue working part-time, both to help meet their financial demands, but also to keep that practical connection with pharmacy practice. Many of the faculty believe that connection with pharmacy practice is excellent grounding for SAS research. Q: I am an international student who requires financial assistance. Am I eligible for a teaching assistantship? A: Yes, if you have adequate English proficiency according to university standards. Eligibility is contingent on faculty evaluation of your English speaking skills. If you are admissible by all other criteria, a faculty member will make phone contact for an initial evaluation of your ability. Before you assume your teaching duties, we will also require that you take the UW-administered SPEAK test (the international version of the test of spoken English) once you arrive on campus. Your first semester of teaching will be probationary. If you perform your teaching responsibilities in a satisfactory manner and maintain good academic progress, support will be guaranteed at the level specified in your offer of admission. Q: What are possible sources of financial assistance if I get admitted? A: Financial assistance could come in the form of university-based fellowships, teaching assistantships, or research/project assistantships. As one develops during graduate school, earning extramural predoctoral fellowships (such as through the American Foundation for Pharmaceutical Education (AFPE) or via the Howard Hughes Medical Institute) is possible; some fellowships are only available to U.S. citizens. Q: Can you give me a brief introduction about the research of SAS? A: The SAS division is focused on health services research, with an emphasis on pharmacy settings. The program focuses on scientific and humanistic bases for understanding and influencing interactions involving patients, medicines, caregivers, and health care systems. It addresses the need for pharmacists to fulfill roles of clinical practitioner, drug consultant, and drug distribution system manager, where all are aimed at meeting the needs of diverse patients, providers, and agencies that utilize pharmacy services. The program is extremely interdisciplinary, integrating knowledge from numerous fields to complement knowledge of pharmacy and pharmaceuticals. The objective is to prepare students to carry out independent, theory-based research of their own interest leading to new knowledge and understanding of drug use, patient and provider communication and behaviors, health outcomes, health care systems, and the pharmacy profession. The school’s Graduate Program Coordinator can be contacted (gradadmissions@pharmacy.wisc.edu) to learn of recent thesis and dissertation titles of SAS MS and PhD graduates. Q: If I am interested in a particular SAS area (e.g. pharmacy management, pharmacoepidemiology), where can I find information regarding a professor who may fit my interests? A: UW-Madison’s SAS faculty, and their current research directions, are profiled at https://pharmacy.wisc.edu/sasd/faculty-research and https://pharmacy.wisc.edu/sasd/current-research/. The school’s Graduate Program Coordinator (gradadmissions@pharmacy.wisc.edu) can be contacted to get a compilation of publications that SAS faculty have authored or contributed to recently. Q: What’s the career future for those with graduate training in the SAS discipline? A: SAS graduates have taken leadership, professional, and advisory roles in challenging positions in academia, industry, and government. Current employers of SAS alumni since 1998 are presented at https://pharmacy.wisc.edu/programs/sas/student-outcomes. The primary career path for SAS graduates has been academic, serving as faculty in schools and colleges of pharmacy. The American Association of Colleges of Pharmacy (AACP) defines the discipline of Social Administrative Sciences at https://www.aacp.org/resource/graduate-degrees-defined and includes descriptions of various career paths. Contact the school’s Graduate Programs Coordinator (gradadmissions@pharmacy.wisc.edu) if a more detailed employment report is desired or if you wish to be connected with an alum of the SAS graduate program employed in a particular setting.